Dust Filter Cage, China Dust Filter Cage, Quality Dust Filter Cage manufacture by COX Filter Cloth. following materials; MS, GI, SS etc and are made on CNC machines for burr free finish. COX Filter Bag production a wide range dust filter cages to fit almost baghouse makers and models. No matter your dust collector filters is new installat or aftermarket replacements, COX Filter Bag dust filter cages can meet your demand. 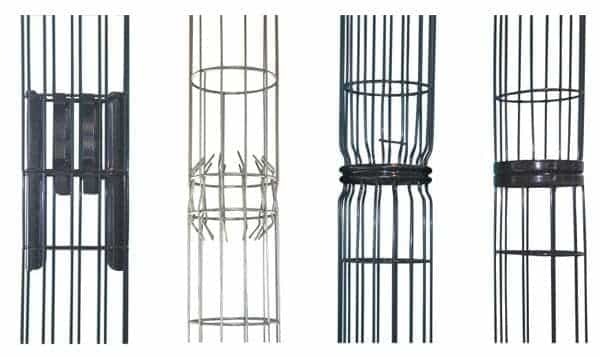 COX manufactures quality support filter cages in many styles; single cage is one of them. Standard and specialty cage tops are available and all bottom caps are welded from inside. 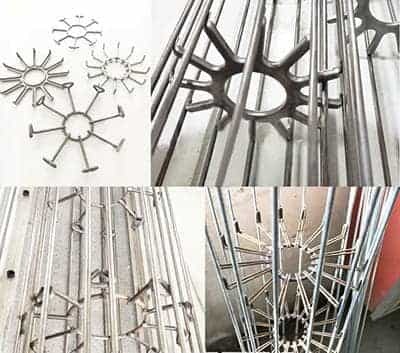 There are kinds materials of round dust collector filter cages, standard cages with top and bottom cap, filter cage with venturi, bended filter cage, star filter cage, one piece or multi pieces filter cages. 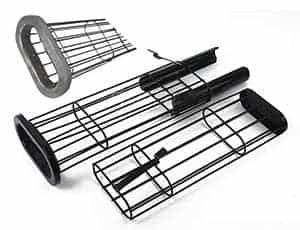 Different styles of oval filter cages used in pulse jet bag filter. Used in cement industry, food industry…ect. Our bag cages are designed to the highest OEM specifications for virtually every pulse jet configuration. 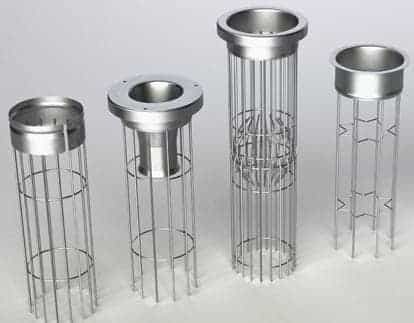 Different styles of Split filter cages used in pulse jet baghouse. Round cages there are Claw type connected, Rotating connected, Open ring type connected. Flat cage guiding plate connected, any split type cages you would find here. Spider filter cages used in pulse jet baghouse. New style of filter cage which extended filter area for filter bag dust collecting, increased efficiency. Different spider rings you could choose as requirements. We bring newest filtration products! COX Filter Bag Cage have kinds material such as: carbon steel(Mild Steel), galvanized steel or stainless steel(304 or 316). Wire diameter always select 11, 10, 9, 8, 7gauge(3.2, 3.5, 3.8, 4.2mm). Vertical wires always of 8, 10, 12, 16 or 20. Horizontal o ring spacing on the cage can be 4″, 6″ or 8″. Cage diameters range from 4″ to 7 7/8″. Top load baghouse cages are available with a T-flange, ring top or several styles of rolled flange tops. Cages for bottom load baghouses are constructed with a split collar or split ring top. Venturi tube avilable to enhance efficient cleaning, it available for all diameter cages. Venturi length from 3″ to 6″ lengths. Venturi are made in a variety of materials including; aluminum, carbon steel, galvanized and stainless steel. Our dust collector cages can be production to fit existing collectors from any baghouse manufactures, OEM material and sizes are wlecomed.